Brian Martin earned his BFA in Illustration from Rhode Island School of Design and his MFA in Painting/Drawing from Indiana University of Pennsylvania. Aside from his personal artwork, he has been employed as an illustrator, graphic/web designer, muralist, and a decorative artist for a cabinet maker. He has taught drawing, painting and color/2D-design at I.U.P., but currently is teaching illustration, drawing and painting at Northern Essex Community College in Haverhill, MA. I love your work. 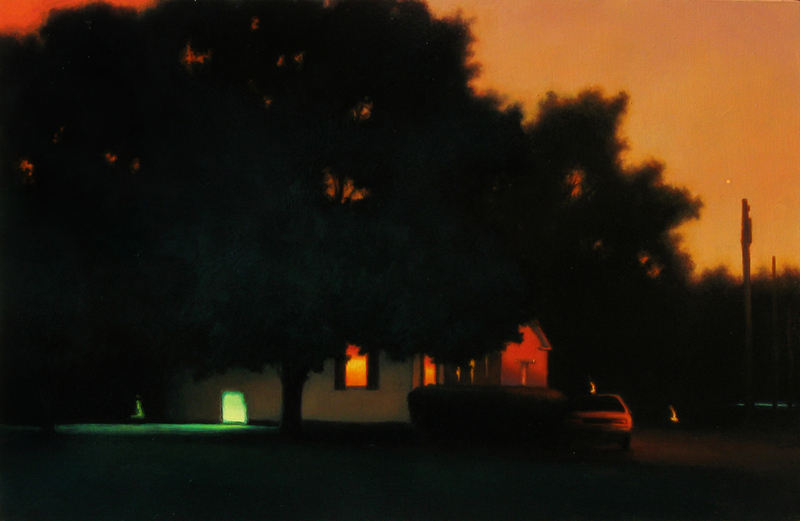 Reminds me more of Magritte than Hopper. I know that I'm seeing this online, but all signs currently point to your work being very rich and highly valuable. This is good stuff, Brian. Wow! Maxfield Parrish and NC Wyeth live again! Words fail me. Spectacular. I am a fan of the great illustrators and now a fan of yours. You incorporate that haunting quality of Hopper in the work I see. Thank you. Bebegongia: you took the words out of my mouth; well said. 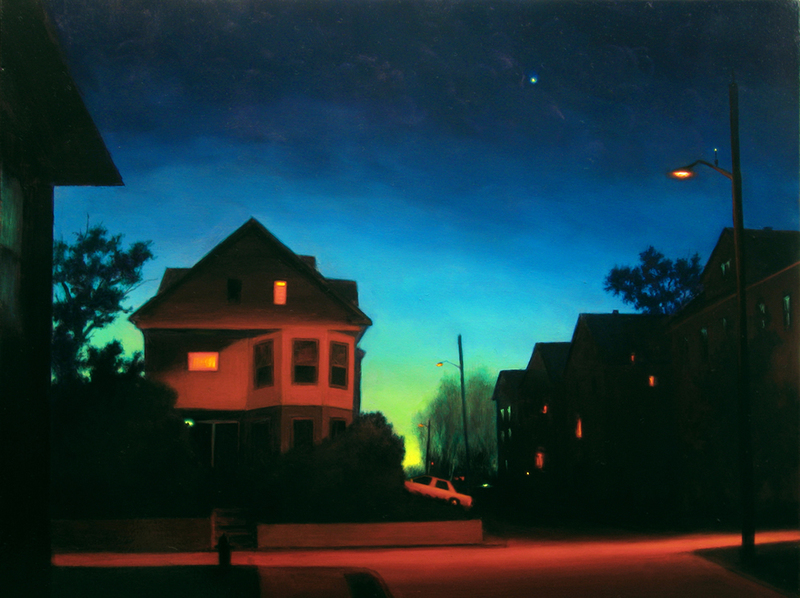 This painting makes me think of Edward Hopper. Good work. These are great. Subtle surrealism. Very interesting use of colour. I love the clouds ad the softness of the images which sparks the imagination.